Seems like this Ramadan would be a little too tough than previous years and the smarter way to live through this summer is to be smart about your food intake. Because when the scorching sun’s up and your appetite craves a light and soul fulfilling meal, Chinese food of its enriching flavors beats all odds. For the same reason, today I decided today to review some of the best Chinese food choices for you that are potentially on high demand during the month of Ramadan. 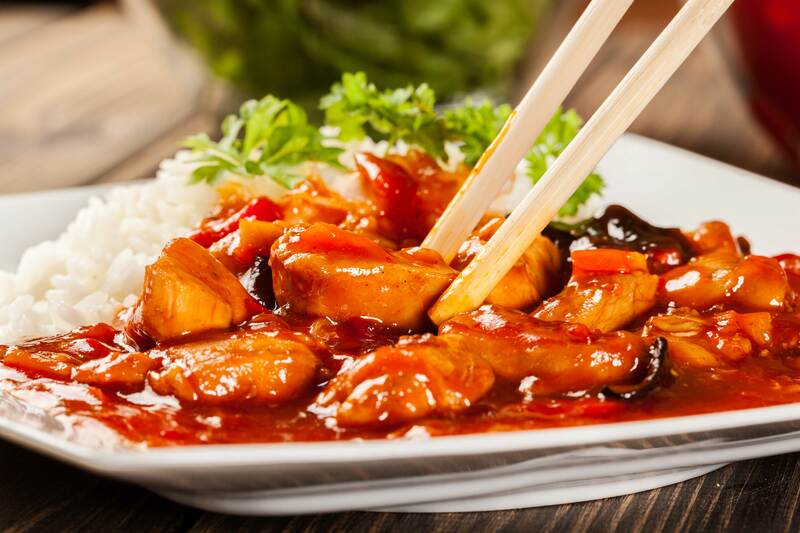 Chinese cuisine makes use of ingredients and spices, your growling tummy will thank after twelve hours of fasting. Let’s talk about our three best picks of Chinese restaurants and help you decide on what to order. Here are three particular mentions we normally make when someone inquires about best Chinese dishes. Our details on each will help you decide what to choose from. You have to have a taste developed for the authentic Chinese cuisine and in most cases our palates are not accustomed to those flavors. Ginsoy, being the go-to Chinese food restaurant is known to fuse Chinese and Pakistani flavors in order to match local palates. Makes it a little spicy and adventurous which we obviously love! When it comes to Iftaar, skip soups and starters and opt for the delicious entrees. 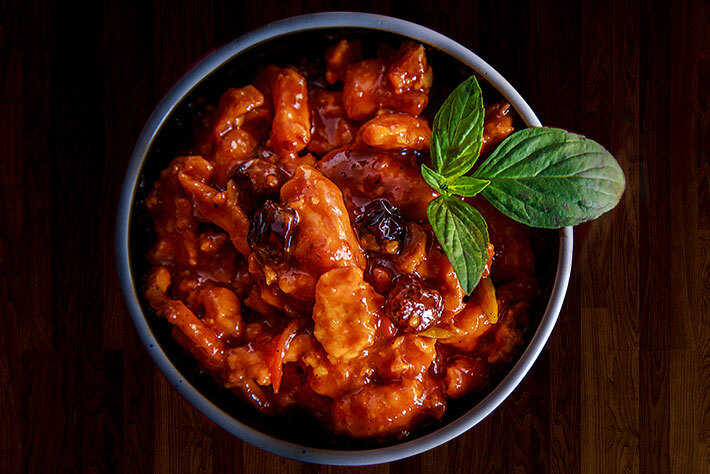 A classic Cherry Chili Chicken after long hours of fasting will soothe your stomach. When metabolism naturally slows down its course, it is better to feed yourself with healthy meals instead of unhealthy ones. Don’t fancy gravy at Iftaar? Beef Chili Dry is made for the likes of you. 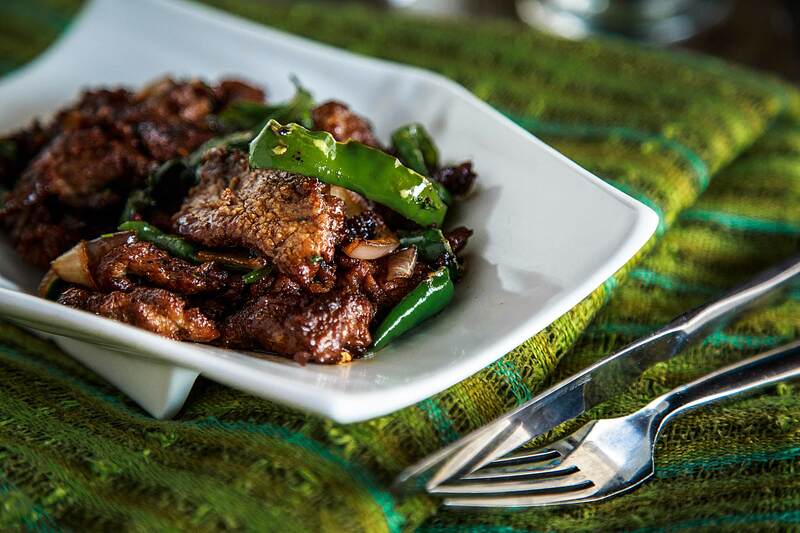 Juiciest beef chunks tossed with aromatic green chilies and onions on an empty stomach? Delicious. Pair it up with fragrant steamed rice or have them on your own. 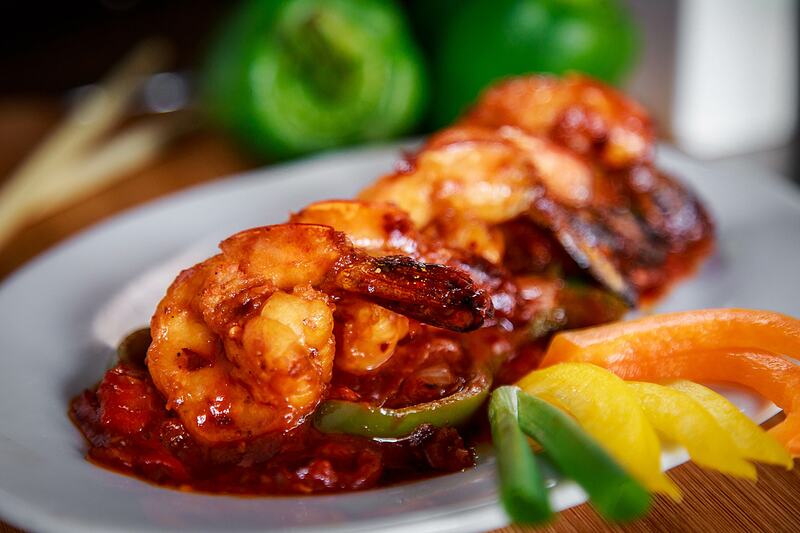 For seafood lovers, Hot & Spicy Prawns with Garlic Rice should be the first choice. Don’t worry about the overpowering garlic flavors and just prepare to dig in. If you still do not like the thought of it, go for plain steamed rice. I was elated to find Chairman Mao having recently arrived on foodpanda’s platform. Makes it all the more strong reason for us to order online. However, if you believe Chairman Mao is anything similar to Ginsoy, you’re in for a surprise. The food served by this eatery has a distinctive flavor that is incomparable. Besides Chinese cuisine, it is known to serve quality Sushi products along with Thai menu. What I liked the most about ordering at home is the fact that foodpanda allows me to enjoy all three cuisines at once. My recommendation for an Iftaar would easily be a serving of Chicken Yakitori with red sauce. 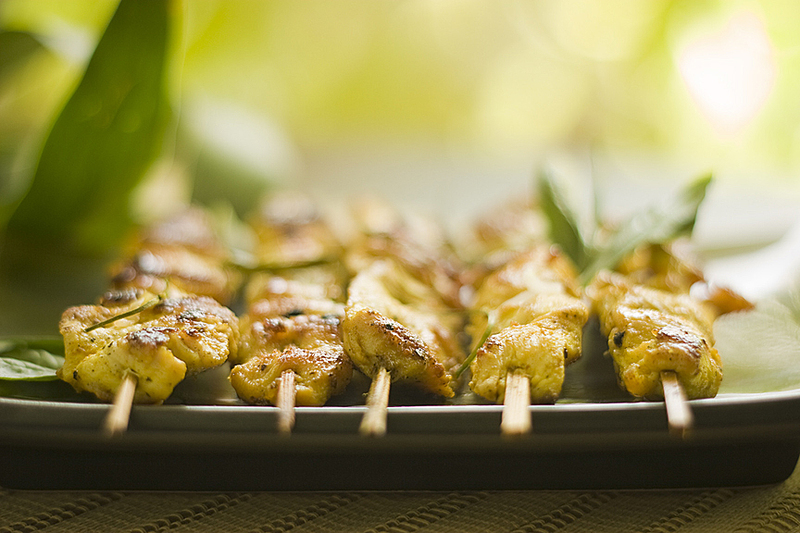 This light yet fulfilling chicken skewers dish is prepared with simple ingredients of powerful flavors. It is something you will better leave for the Chinese cuisine experts to prepare. And do you know that the chicken is not pre-marinated? I hope I have gotten you flowing into the Chinese cuisine mood. I’d now like to take this opportunity to further entice you with Szechuan Chicken from Golden Dragon. A classic Szechuan Chicken needs nothing else on the menu if you’ve developed a liking for it. But a helping of garlic rice will make it a complete meal for you to rejoice. Szechuan Chicken from Golden dragon is one of the best sellers at foodpanda and after having tried it myself I can’t think of a reason why wouldn’t it be? Feeling a little picky today and still can’t put your finger on these options? Not to worry. My point here is to present you with a variety of eateries that offer delicious Chinese food. I’m going to pitch in a few more names that are less popular as the ones mentioned above but are equally favorites of foodpanda customers. Hands down, China Ming is a household favorite for the fact that it is affordable and doesn’t compromise on quality. I like to think that it has more to do with the Pakistani infused flavors but let’s leave it on you to decide. 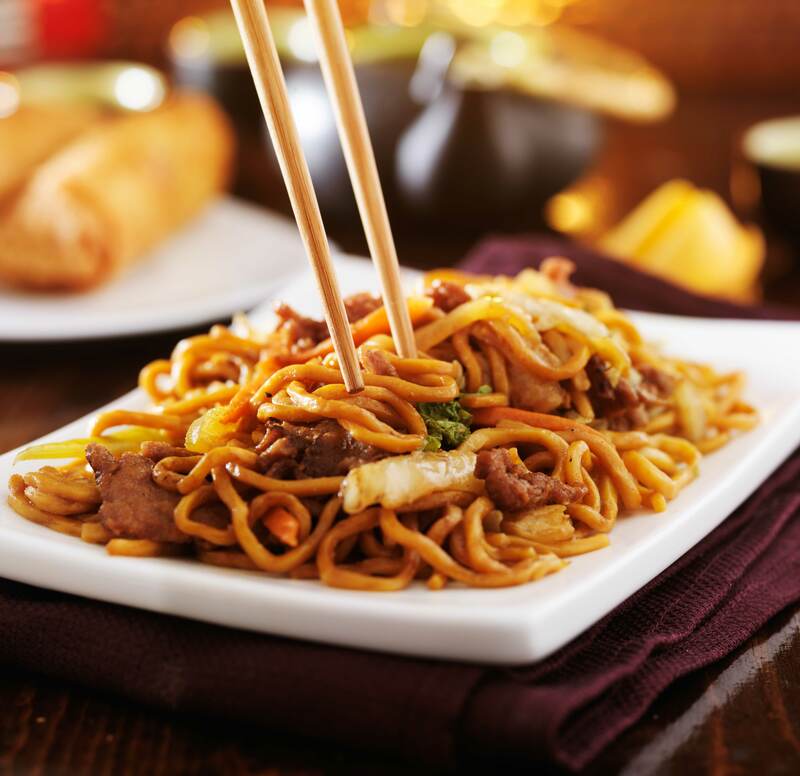 My pick for a fulfilling meal from China Ming would be Noodle Chicken Chow Mein. On the other hand Red Chicken Manchurian is also one of the top sellers but my advice for an Iftaar would be to keep it less spicy and soothing for stomach. Second pick, Dry Beef & Chilies with Onions and a good helping of steamed rice. Nothing beats this when you’re famished and need something light on the stomach. Plus, the succulent beef strips are not only delicious but energy packed too. I am surprised how Hot & Sour Chicken, the traditional Chinese food favorite got left out of the mentions. Luckily, China Grill serves an exquisite small and large portions. Best ordered with plain steamed rice, this classic favorite needs no explanation on how the delicious flavors are well ingrained on our minds. If you like experimenting, here’s an option for you to try. Named after a military leader the myth is that some chef named Peng cooked this fancy chicken dish and quickly named it after his home town hero. He must have thought very highly of Tso hence the sweet and spicy, sticky and flavorsome chicken dish is now called General Tso’s Chicken. Let us know how you feel about these choices and recommend some of your own.